We can help with wrongful terminations, injuries at work, unpaid wages and more! 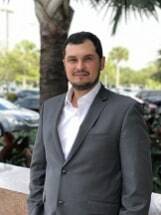 Founded by experienced attorney Alberto Naranjo, the law firm advocates on behalf of employees who have faced workplace discrimination, harassment, wage disputes or retaliation from their employers. The firm's attorney has extensive knowledge of Florida employment law, and he utilizes his skills and resources to obtain the best possible results for his clients. When working with his law firm, you will receive the services of an experienced attorney who is dedicated to your success. Understanding how sensitive such cases can be, he will hold all of your statements and information in the strictest confidence while working to resolve the issues you face. If you have a legal need in one of the firm's practice areas, you can trust AN Law Firm, P.A., to find a solution. The law firm offers free initial consultations and is ready to help you obtain the justice you deserve. How would you rate your overall experience with this law firm? By submitting this form you agree to receive email communications from FindLaw related to the management of your review. When viewing a listing, consider the state advertising restrictions to which lawyers and law firms must adhere, as well as our West Legal Directory disclaimers. Some lawyers publish comparative information regarding the services that they provide which may be subject to specific comparative communications restrictions. DISCLAIMER: If you send a lawyer or law firm email through this service, your email will not create an attorney-client relationship and will not necessarily be treated as privileged or confidential. You should not send sensitive or confidential information via this email service. The lawyer or law firm to whom you are writing may not choose to accept you as a client. Moreover, as the Internet is not necessarily a secure environment it is possible that your email sent via the Internet might be intercepted and read by third parties. Copyright © 2019 FindLaw, a Thomson Reuters business. All rights reserved.